Steve Sutherland has proudly been voted by the music industry and the public, not once not twice not three times but 4 times - Best club and radio DJ off his own merit over the past 6 years, a reminder that while many 'fad' DJs come and go, his rock-solid fan base makes him one of the few names capable of continuously filling clubs around the world, proving that he is more than just a deck spinner. His accomplishments show how he precisely puts together different songs to make a concoction of beats and melodies that rule the clubs and the streets. Steve has the honed-down expertise and handiness of a veteran, and is undoubtedly on the verge of spinning himself into history. He has turned his dream into a media commodity whilst still retaining the feel of the crowd! 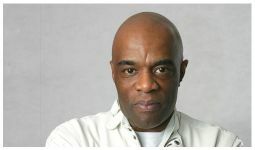 Most notably known for his contribution to Urban music via his history with the legendary Twice As Nice, where from being the first DJ to play at this event, he went on to mix 11 albums via Warner and Universal music which went onto receive critical acclaim, whilst shifting platinum and gold albums at the same time. Steve not only contributes his talent to one of the most popular radio stations in the Europe - but he is also one of the hottest club DJs, dominating the club scene around the world. For the third year a weekly summer residency for super club brand Pacha alongside Rodger Sanchez, monthly for the biggest urban night in the UK in the form of Passion @ Gatecrasher plus regular major events, Bumping up his air miles he has already taken the Urban sound to the world playing in countries and cities such as Dubai, Switzerland, Africa, Athens, Austria, Ibiza, Barcelona, Cairo, Sharm el Shek, Finland, Germany, Sweden, Amsterdam - damm you name it he's been there! This is what makes him such a hot commodity that promoters will fly him half way around the world for him to play at their events…. this just makes sense, as he never sticks to one genre playing Hip hop, R&B Dancehall, House, Classics, UK Garage and Drum & Bass in one session – with class! In the past six years, Steve Sutherland has earned the titles of MOBO “Best club DJ and best radio DJ no more than four times (a feat no other DJ has done) plus other awards and nominations from the music industry. Rather than resting on his laurels, Steve also hosts his twice weekly shows on the most listened to commercial radio station by 15-34s in the UK - Galaxyfm, where Steve hosts two of the biggest urban shows every Saturday & Sunday night. Where the public attribute this to his high-octane style, taste-making music and his inter stellar live guest list in the studio that Steve has assembled - a roster of the hottest and most versatile artists in the planet - Mary J Blige, LL Cool J, 50 Cent, Omarion, Ciara, Ja Rule, Alicia Keys, Lemar, Busta Rhymes, Diddy, he Game, Missy Elliot, Faith Evans, Sean Paul (9 Times), Anthony Hamilton, Ciara, Shaggy, Lil Jon (you had to hear the show at TRL in Times Square. Hilarious), Akon, John Legend, Justin Timberlake, N.E.R.D, Timbaland, Estelle, Ying Yang Twins, Kelis, Angie Stone, Janet Jackson. Cassidy, Lethal B, Wyclef, Kano, Outkast, Destiny's Child, Beverley Knight, Marcus Houston, Roll Deep, Kanye West, Akon, Brandy, Mario (Steve was the first to have him perform for his show in the UK). The list goes on and on. If he can't get the guests in the studio then Steve goes to meet them - R Kelly in Chicago, Brandy in Jamaica, Usher in Atlanta or Anthony Hamilton in NYC. We can't leave out the fact that 2 of his regular mix DJs on his show have been Mark Ronson and 50 Cents very own Whooo Kid. Steve has them on his show, not because they're hot, but because he likes what they do!! His radio show is one of the most tuned into, mainly because he exudes the same mixing prowess as he does on his albums, and most importantly in the clubs!! !